‘Hungry Hut’ Tuck shop has arrived! Today ‘Hungry Hut’ opened for business! 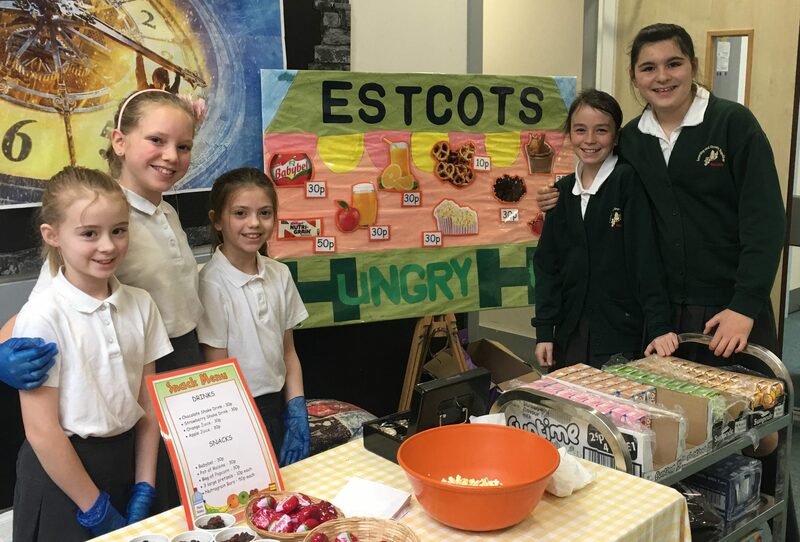 Five girls in Year 6 have worked really hard on setting up a tuck shop for the children at Estcots. They have chosen the name, designed the signage and chosen what it should sell. 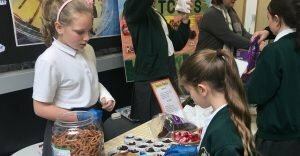 Today was the first time that they have set up the shop and started selling to the children in KS2. It was very busy and proved to be very popular, quickly selling lots of chocolate shake and popcorn! Well done girls! Keep up the hard work ready for KS1 next Tuesday.